As the seventies dawned, a new musical movement started to take shape across Europe. This new musical movement continued right through to the mid-eighties. By then, artists from Germany, Austria, Holland and France were part of this new musical movement. So were artists in Italy, Greece, Finland and Sweden. The tentacles of this new musical movement had spread far and wide, and showcased the combined and considerable talents of artists who created ambitious and innovative music. There was only one problem, critics had struggled to find a new for this new movement. The new movement failed to fit neatly into one of the existing musical genres. It was neither rock nor progressive rock. Determined to pigeon hole the music, some critics began to refer to the music as ambient, while others described it as New Age. Meanwhile, other critics referred to the music as avant-garde. However, other critics begged to differ. Some critics were describing the music as Krautrock. Other critics weren’t so sure. Especially critics in Germany, where many of the leading lights of this movement were based. This included Dueter, Ash Ra Tempel and Hans Joachim Roedelius. Many German critics felt their music was more closely aligned with the Berlin School, an offshoot of Krautrock. For many musicologists and music historians, this seemed a more accurate description. However, not everyone was convinced. Fast forward thirty years, and still critics are debating which genre best describes this musical movement. Only one thing seems certain, that its finest practitioners have firmly rejected the term New Age. That is not how they want this new, ambitious and innovative music to be described. It represented the dawn of new musical dawn and era. This new era is documented on (The Microcosm): The Visionary Music Of Continental Europe, 1970-1986. It’s a double album that was recently released by Light In The Attic Records. 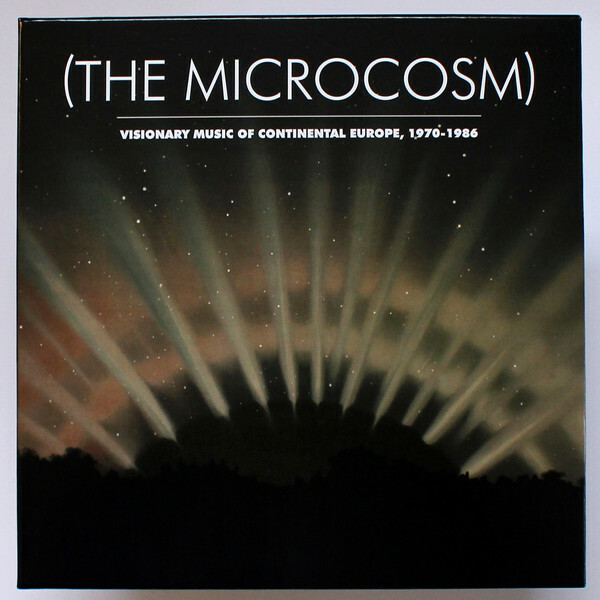 (The Microcosm): The Visionary Music Of Continental Europe, 1970-1986 is the perfect introduction to this new, pan European musical movement. It showcases the music Hans-Joachim Roedelius, Ralph Lundsten, Ash Ra, Tempel, Ariel Kalma, Bernard Xolotl, Enno Velthuys, Peter Michael Hamel and Deuter. They’re among the fourteen artists that feature on (The Microcosm): The Visionary Music Of Continental Europe, 1970-1986. Each produced ambitious and innovative music, and can be described as a visionary. This includes Greek composer Vangelis, who opens (The Microcosm): The Visionary Music Of Continental Europe, 1970-1986 with Creation Du Monde. 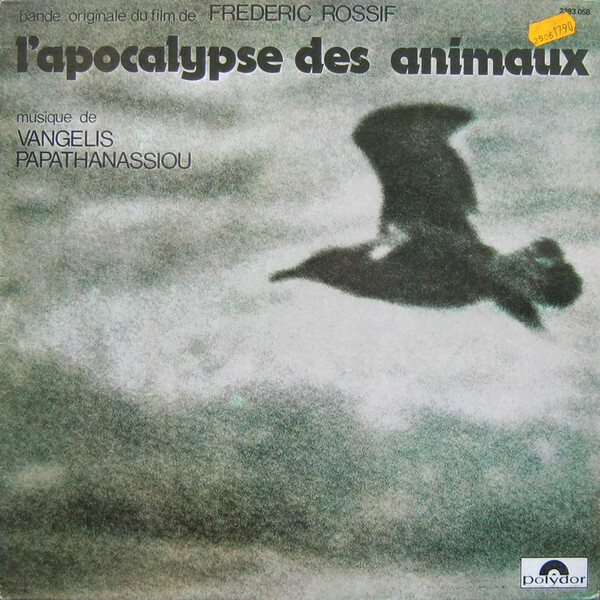 This is a track from Vangelis’ soundtrack L’Apocalypse Des Animaux. It was released across Europe on Polydor in 1973, and features a minimalist, ambient sound. This was already growing in popularity, especially in Germany where Vangelis would later make his home. 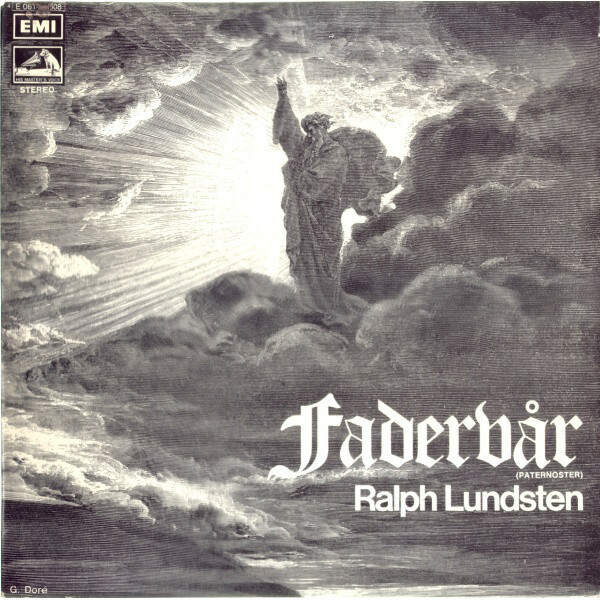 In 1972, Ralph Lundsten was about to release the ninth album of his career, Fadervår (Paternoster) on HMV. By then, the thirty-six year old musician and composer had established a reputation as a pioneer of electronic music. That is apparent on the haunting and ethereal Bön 5 – Förlåt Oss Vâra Skulder (Prayer 5 – Forgive Us Our Debts). It’s a showcase for Ralph Lundsten considerable talents as a composer and musician, as he deploys an array of analog synths. Ash Ra Tempel were one of the many bands that were formed in Berlin during the late-sixties. The band originally featured a triumvirate of musical pioneers, Klaus Schulze, Manuel Göttsching and Hartmut Enk. By 1975, Ash Ra Tempel’s lineup was very different. Manuel Göttsching was the only founding member that remained, as work began on the soundtrack to Le Berceau De Cristal. Manuel Göttsching at Studio Roma, Berlin was Lutz Ulbrich. They recorded seven tracks, including Le Sourire Volé, a futuristic fusion of Berlin School, electronica and Krautrock that’s truly timeless. 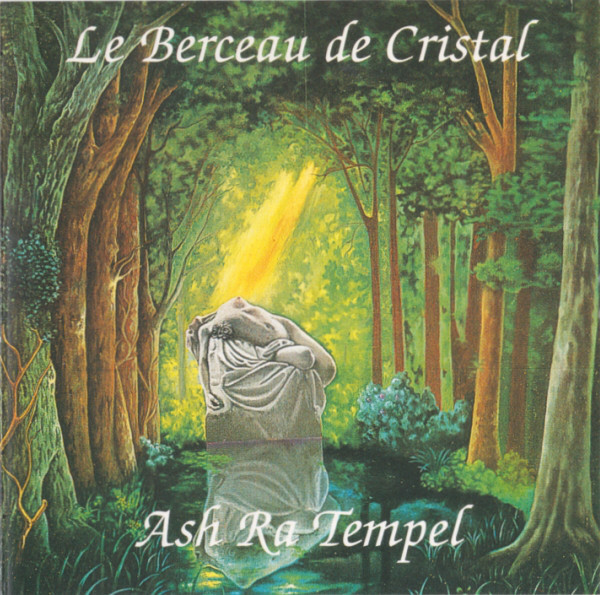 Despite the quality of the music on Le Berceau De Cristal, the album wasn’t released until 1993. Somewhat belatedly, this hidden gem of a soundtrack was available for Ash Ra Tempel’s fans to discover. 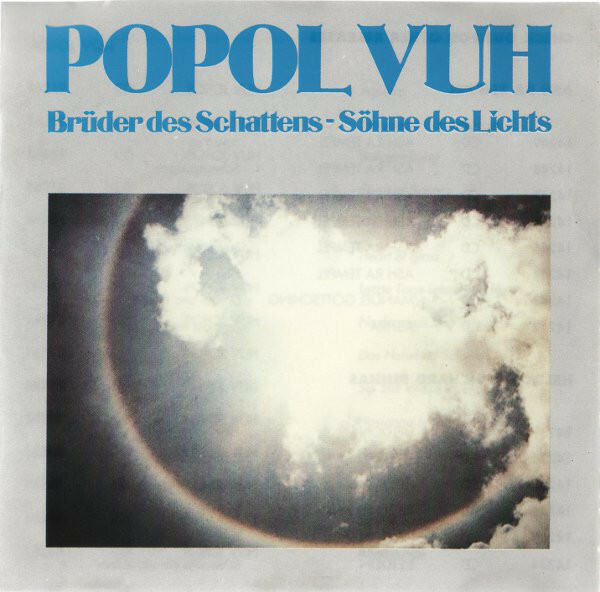 Popol Vuh was another giant of German music. It was the vehicle of Florian Fricke a true pioneer, who used synths extensively in his music. To this he added organ and percussion, and created music that has a spiritual ambience. A case in point, is Brüder Des Schattens-Söhne Des Lichts (Abridged) a near fifteen minute epic. 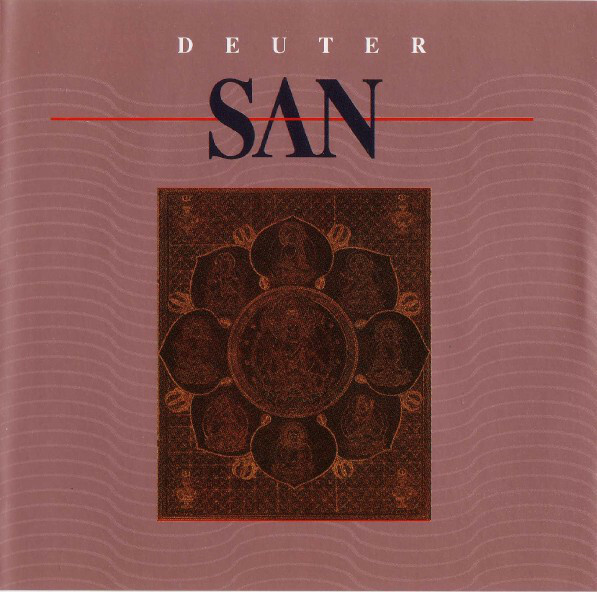 It’s taken from Popol Vuh’s album Brüder Des Schattens-Söhne Des Lichts. It was released in 1978 on Brain. 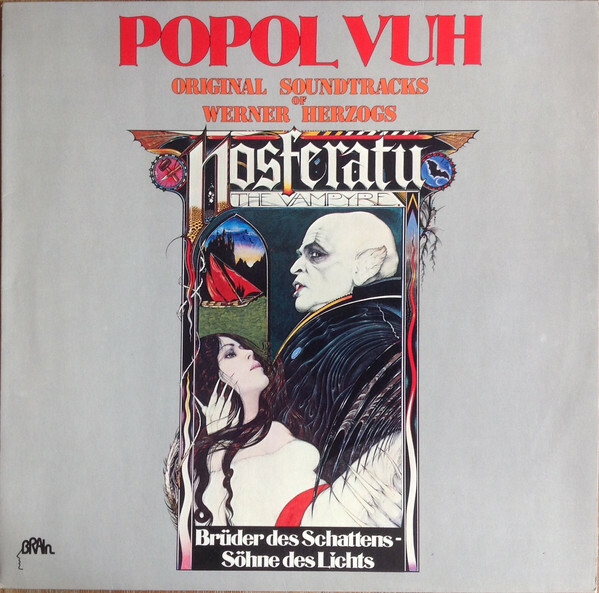 A year later in 1979, Brüder Des Schattens-Söhne Des Lichts was reissued as the soundtrack to Nosferatu The Vampier. That is despite only a couple of the tracks featuring in the film. The highlight of both albums is the spiritual ambience of Brüder Des Schattens-Söhne Des Lichts (Abridged). 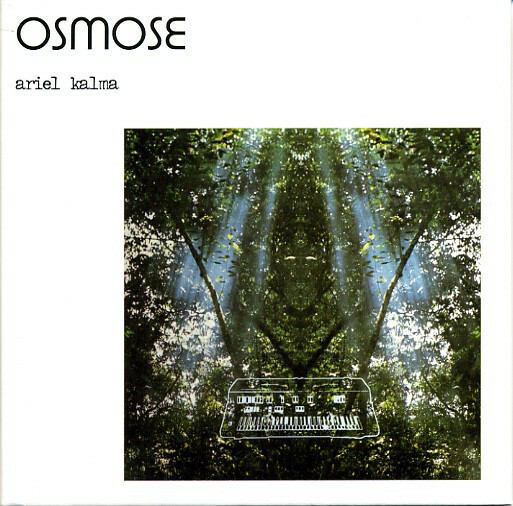 Originally, Orguitar Soir was recorded when Ariel Kalma was collaborating with Richard Tinti, on the album Osmose. It was released as a double album on the SFP label. For some reason, Orguitar Soir was left off the album. Twenty-eight years later, and a newly expanded version of Osmose was released in 2006. One of the new and welcome additions was Orguitar Soir. With its mixture of droning synths, pan pipes and birdsong, it’s a quite beautiful, thoughtful and ethereal fusion of ambient, avant-garde and Musique Concrète. Up until 1980, Bernard Xolotl was content to spend his time painting, drawing, writing and recording. He was blossoming creatively. Then he rediscovered sacred geometry. This lead him to believe that music is was: “completely mathematical.” Since then, many critics and music fans have believed that Bernard Xolotl’s music is indeed; “completely mathematical.” This is something this musical pioneer denies. 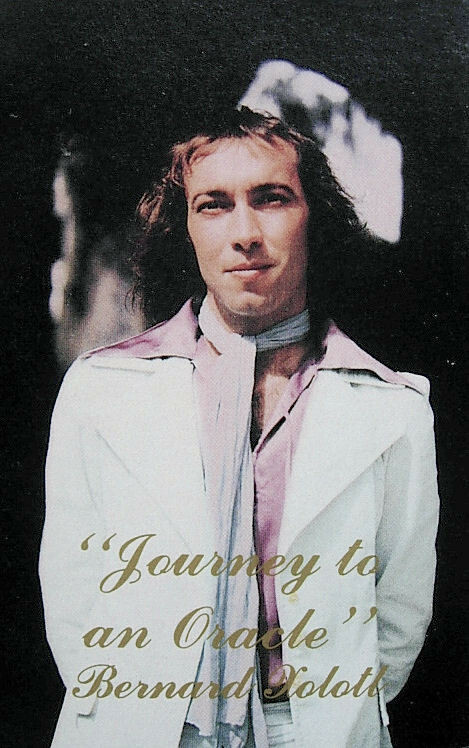 He released his Journey To An Oracle on cassette in 1981. It features the genre-melting track Cometary Wailing where element ambient, avant-garde and psychedelia combine to create a captivating soundscape. Another French musician who created groundbreaking music was Peter Michael Hamel. His career spanned four decades. However, between 1980 and 1986, Peter Michael Hamel was signed to the Kuckuck label. During that period, he released a quartet of studio albums. Einklang which is an improvised piece, didn’t feature on any of these albums. 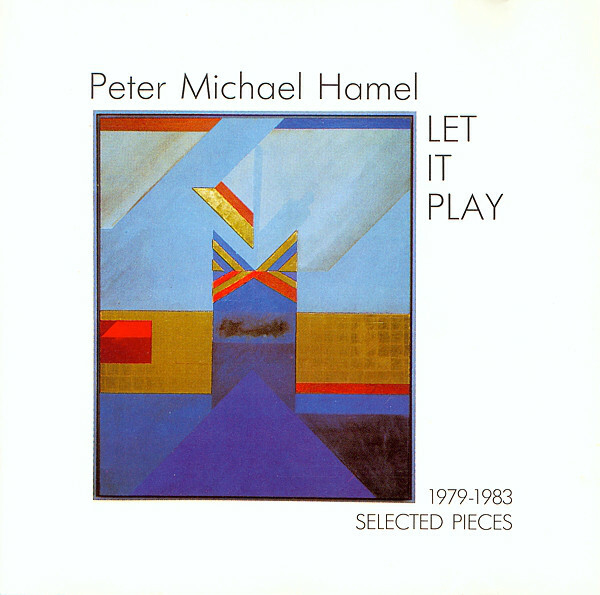 Instead, it featured on a compilation of Peter Michael Hamel’s music, Let It Play (1979-1983 Selected Pieces). It was released by Kuckuck in 1987. Sonically and stylistically, Einklang has much in common with his Bardo and Organum albums, where Peter Michael Hamel’s music references ambient, modern classical, Musique Concrète and post modernism. It’s an enchanting combination of musical genres and influences. Somewhat confusingly, the track listing on the reverse of the CD doesn’t match the track listing. Francesco Messina’s Untitled closes disc one, rather than opening disc two. The track was written by Italian composer Francesco Messina around 1979. It lay unreleased until 2013, when Raul Lovisoni and Francesco Messina’s 1979 collaboration was about to be reissued. Three bonus tracks were tagged onto the end of the reissue, including Untitled. Given its minimalist and mesmeric ambient sound this was a welcome addition. So is its addition on (The Microcosm): The Visionary Music Of Continental Europe, 1970-1986. 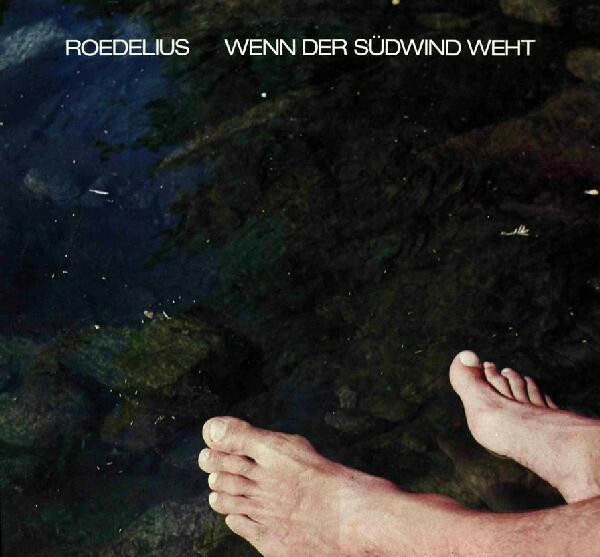 Disc two of (The Microcosm): The Visionary Music Of Continental Europe, 1970-1986 opens with Hans Joachim Roedelius’ Wenn Der Südwind Weht. This is a track from Wenn Der Südwind Weht, which was released on Sky Records in 1981. It’s one of over 200 solo albums and collaborations the former founder of Kluster, Cluster, Harmonia and Qluster has released. Wenn Der Südwind Weht is a mixture of avant-garde, electronica and experimental music that’s rhythmic, hypnotic, haunting and beautiful. Back in 1981, Dorothea Raukes the keyboardist from the German rock band Streetmark dawned the alias Deutsche Wertarbeit. This also became the title of her latest musical vehicle’s debut album. It had been inspired by Asmus Tietchens, Hans Joachim Roedelius and even Kraftwerk. 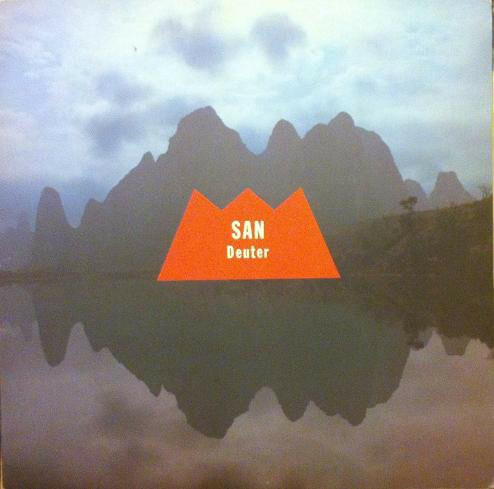 The album was a marriage of Berlin School and Krautrock, that was melodic and rhythmic. One of the album’s highlights, was Der Grosse Atem the album closer. 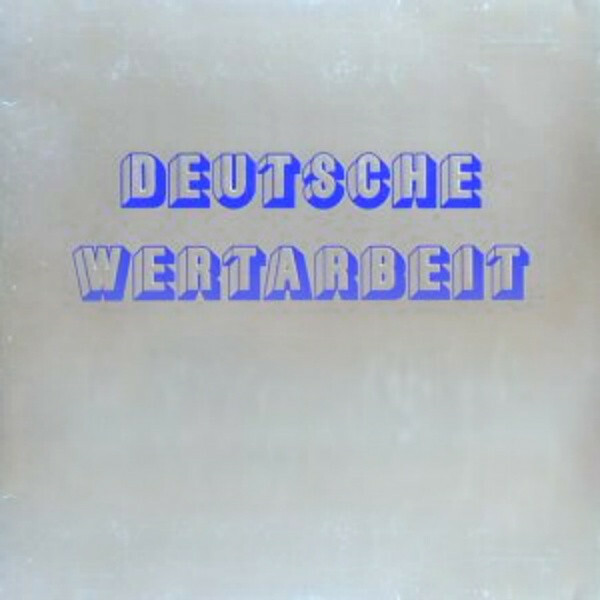 Deutsche Wertarbeit was released on Sky Records in 1981. 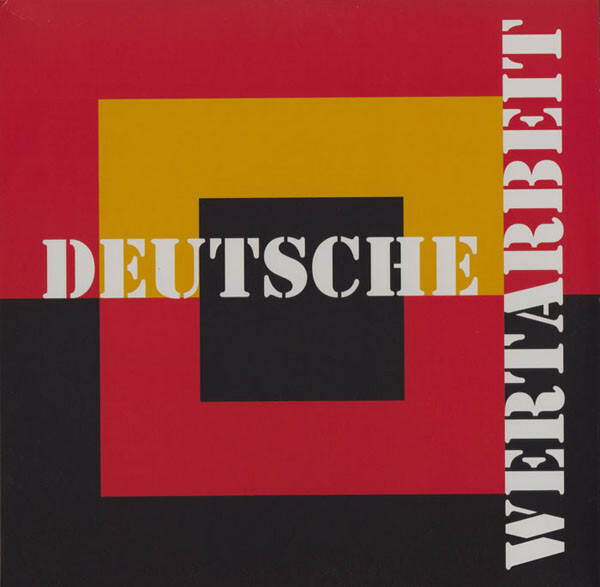 Despite the quality of music on the album, Dorothea Raukes decided that Deutsche Wertarbeit was purely a one-off project. Anyone familiar with Gandalf’s albums, will know the name Robert Julian Horsy. The Austrian flautist and multi-instrumentalist made a guest appearance on several Gandalf albums. 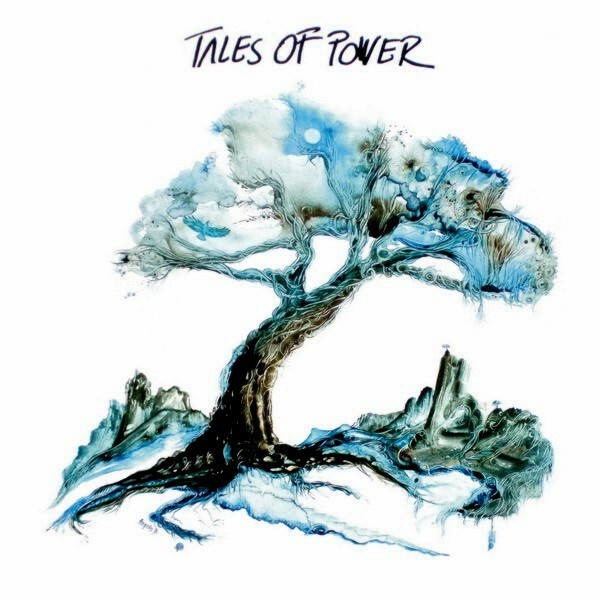 However, Robert Julian Horsy’s solo career began in 1982, when he released his debut album Tales Of Power on Seagull Music. It featured Dance For A Warrior, which showcased the multi-instrumentalist’s considerable skills on a mystical sounding mixture of ambient, Berlin School and Musique Concrète. 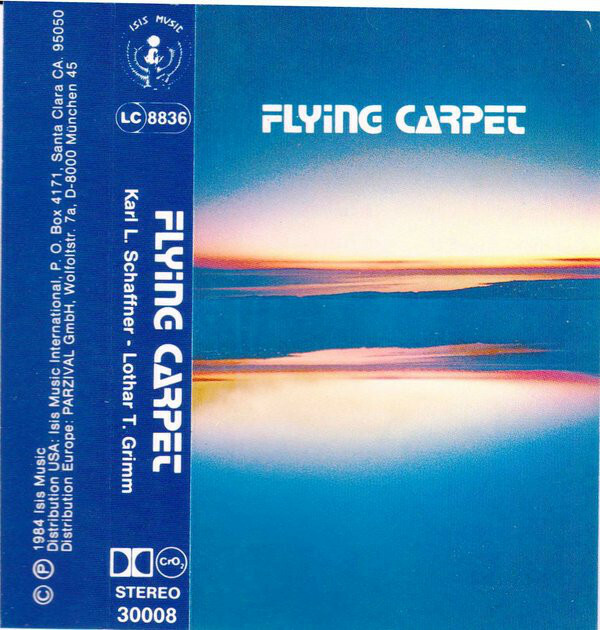 During 1984, Karl L. Schaffner and Lohar T. Grimm released a trio of cassette albums, Mountains In The Sea, Flying Carpet and Birds Of Passage. This trilogy of ambient albums had been influenced by Karl L. Schaffner’s travels in India. Especially Caravan, a track from the Flying Carpet album. It meanders melodically along its cinematic sounds painting pictures. Suzanne Doucet and Christian Buehner met in 1978, and soon discovered that they shared a similar musical philosophy. So once Suzanne Doucet had formed her own label, she began to collaborate with Christian Buehner. They released several albums, including Transmission which was released in 1983. 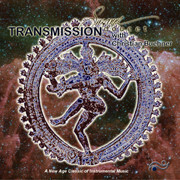 It featured Shiva’s Dance a rhythmic and atmospheric track where elements of ambient and electronic combine effectively. 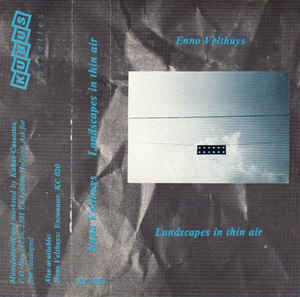 By 1985, Dutch musician Enno Velthuys was about to release his fourth album, Landscapes In Thin Air. It was released on the Kubus Kassettes label and featured the meandering Morning Glory. It’s a beatific, dreamy and elegiac soundscape that’s truly timeless. Gigi Masin’s Ship Beetel closes (The Microcosm): The Visionary Music Of Continental Europe, 1970-1986. Ship Beetel was recorded when Gigi Masin was recording his debut album Wind. The song didn’t feature on the album, and lay unreleased until 2013. 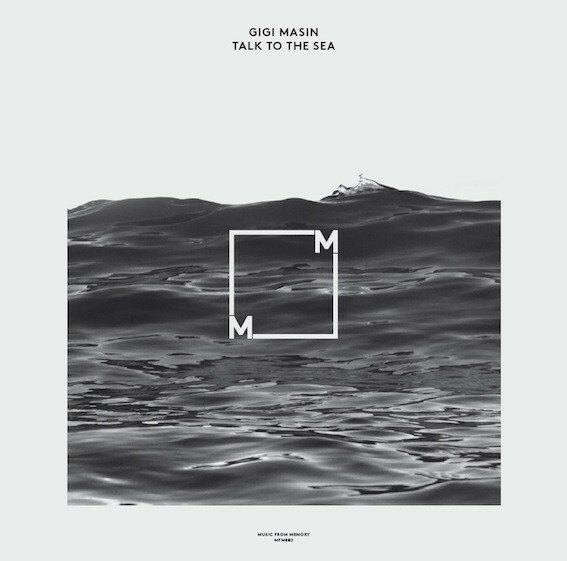 That was when Ship Beetel featured on Talk To The Sea, a compilation of Gigi Masin’s music. 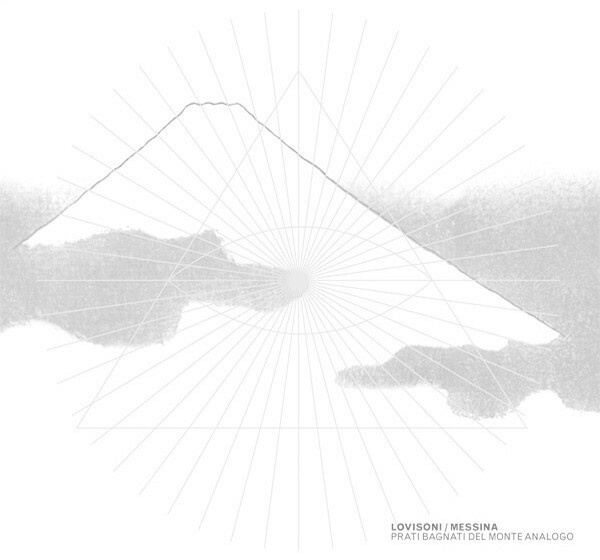 Somewhat belatedly, this beautiful, elegiacal ambient track was released. Three years later, and it’s a welcome addition to (The Microcosm): The Visionary Music Of Continental Europe, 1970-1986, brings the compilation to a memorable close. As compilations go, (The Microcosm): The Visionary Music Of Continental Europe, 1970-1986 is a captivating album of groundbreaking music. It features sixteen tracks from musical pioneers. They had the vision and ability to take music in a new direction. This resulted in puzzled critics struggling to find a way to describe this new pan European musical movement. The best the puzzled critics could come up with, was New Age. That was nothing more than a lazy, catchall description. The music on (The Microcosm): The Visionary Music Of Continental Europe, 1970-1986 ranges from ambient and avant-garde to Berlin School and classical and Krautrock through to electronica and experimental and even Musique Concrete and a hint of psychedelia. Often, several musical genres were combined to create the one track. These tracks are variously, atmospheric, beautiful, blissful and cinematic, and sometimes, haunting and hypnotic. Other times, they meander melodically and dreamily along, their elegiac and ethereal sound continuing to captivate. That is still the case over forty years later. No wonder, as these tracks are truly timeless. For anyone familiar with the music on (The Microcosm): The Visionary Music Of Continental Europe, 1970-1986 this will come as no surprise. Each of these artists were innovators and visionaries. They were at the vanguard of pan European musical movement during the seventies and eighties. During this period, they recorded music that was ambitious, groundbreaking and often, way ahead of its time. Sadly, much of this music never found the audience it deserved first time round. It was only many years later, that the music on (The Microcosm): The Visionary Music Of Continental Europe, 1970-1986 somewhat belatedly, began to find the audience it deserves. Still though, there are many record buyers still to discover the delights of Dueter, Ash Ra Tempel, Hans Joachim Roedelius, Ralph Lundsten, Ariel Kalma, Bernard Xolotl, Enno Velthuys and Peter Michael Hamel. Hopefully, (The Microcosm): The Visionary Music Of Continental Europe, 1970-1986 will introduce them to this body of groundbreaking music, and they’ll embark upon a musical voyage of discovery? ← BARIS MANCO AND KURTALAN EXPRES-ESTAFURULLAH…NE HADDIMIZE! Brilliant survey … think Can and Faust are my favourite Kraut-rockers! Glad that you liked the review. Can are big favourites of mine. I’ve all their albums, and most of their solo albums. I also like Faust’s music, and have a number of their albums. There’s so many other great Krautrock bands. Even now, I’m finding new bands that slipped through the net. I’m sure there will be more Krautrock articles during the remainder of 2016 and during 2017. What other Krautrock bands do you like?